We offer software to extract & analyze multilingual text for search, e-discovery & digital forensics. Used by governments, web search giants & 250+ major firms. Basis Technology Is Now A Primary Tag! Thanks to the SAP Community leadership (specially Craig Cmehil) now Basis is recognized as a Topic and has its own a primary tag! Why Nudge.ai? Reach out to the decision makers at Basis Technology with a personalized email - let them know that you found their recent news mention interesting. 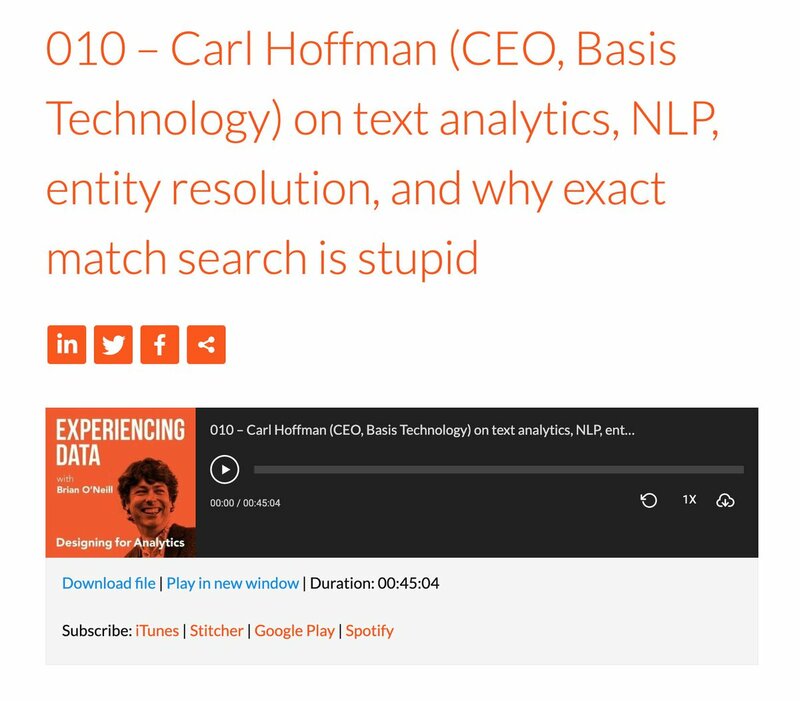 Nudge.ai’s relationship intelligence platform can help you find the right executive to reach out to at Basis Technology, such as Brian Carrier, Chief Technology Officer, or Carl Hoffman, CEO. Then get in touch and start a conversation. Executives can be difficult to reach, but every company has connectors who bring together people and ideas. At Basis Technology, people like Heather Phipps, and Chris Brown are likely connectors. When Basis Technology is mentioned in the news, Nudge.ai often sees topics like Security. If your conversation focuses on these topics, you’ll probably get Basis Technology’s attention. When Basis Technology is mentioned in the news, companies such as PR Newswire, Atlassian, and Clarabridge are often also mentioned. These companies can serve as customer examples. Who in your network can introduce you to Basis Technology? Nudge.ai finds the best pathway to reach contacts at this company.